Nobivac® Puppy-DPv (Progard Puppy-DPv) offers maximum protection for puppies against canine Distemper and canine Parvovirus. Protects against all field strains of Parvovirus currently seen. Overrides maternal antibodies in young puppies. 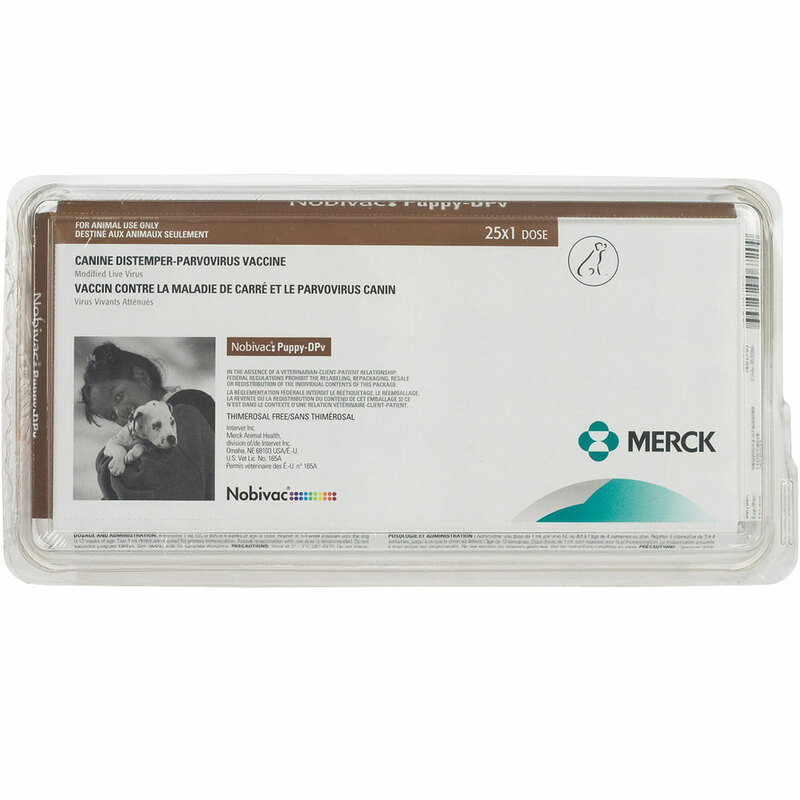 Recommended for the vaccination of healthy dogs against diseases caused by canine Distemper and Parvovirus. Modified live versions of the viruses. Recommended for use in healthy dogs four weeks of age or older. Vaccinate healthy puppies 4 weeks of age or older. Aseptically reconstitute the desiccated vaccine with the sterile diluent provided. Initial vaccination of healthy dogs may be given as early as 4 weeks of age, with booster injections administered every 3-4 weeks until the dog is 12 weeks of age. Dogs over 12 weeks of age should initially receive 2 doses 3-4 weeks apart. The use of a biological product may produce anaphylaxis and/or other inflammatory immune-mediated hypersensitivity reactions. Antidote: Epinephrine, corticosteroids, and antihistamines may all be indicated depending on the nature and severity of the reaction.